Recently I had the pleasure of watching director Baltasar Kormákur’s Everest. This movie is both an incredibly visually stunning masterpiece and a heart-wrenching tale. Director Kormákur’s filmography contains several other major motion pictures including 2 Guns, starring Denzel Washington and Mark Wahlberg, and Contraband, starring Mark Wahlberg and Kate Beckinsale. Compared with these movies, Everest is a bit of a change in style for Kormákur. The casting for the movie was excellent with several famous actors and actresses including Jason Clarke, Josh Brolin, John Hawkes, Robin Wright, Emily Watson, Keira Knightley, Sam Worthington and Jake Gyllenhaal. This adventure thriller follows the tale of two expeditions, Adventure Consultants and Mountain Madness, and the dangers they face climbing Mt. Everest. While climbing the mountain a blizzard hits, and what ensues is chaos and a tale that is emotionally gripping. The story itself is based on an actual disaster that took place in May of 1996 when twelve people died in a blizzard attempting to reach Mt. Everest’s summit. 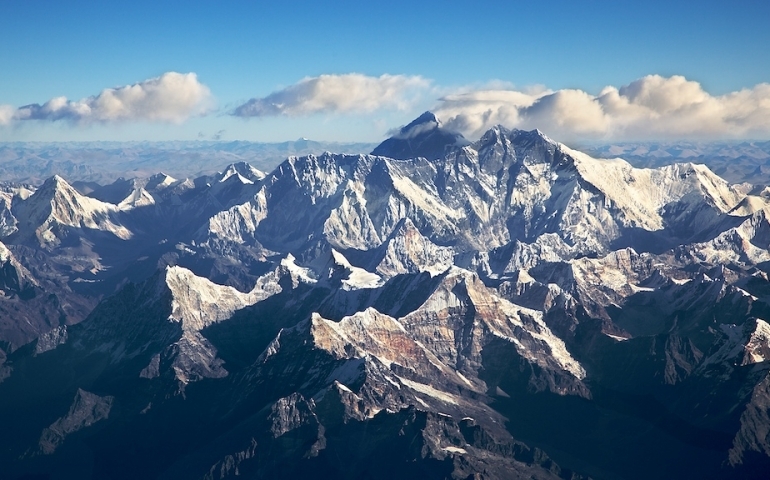 The catastrophe would later be known as the 1996 Mount Everest disaster. Everest does not lack in content. The story and characters are gripping, and I found myself pretty invested in them by the end of the movie. Where thriller dramas sometimes start to move slow, Everest is good about keeping the storyline moving. While the story alone makes this movie truly incredible, viewing it in IMAX does make a worthwhile difference. The size of the screen, I personally believe, adds to the suspense and the overall relationship between the audience and the characters. However, it is really a choice between great and really great when it comes to choosing between a regular theater and IMAX. Everest is a film that should be on everyone’s watch list. The story of these climbers is so incredible that it has to continue to be told.